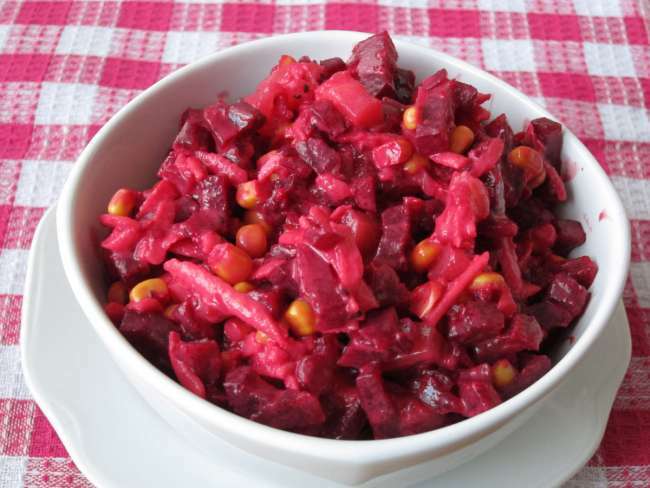 Delicious vegetable and fruit salad, great as a side dish to roast meat. 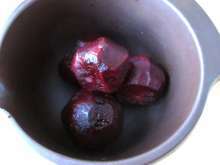 Wash beetroot, put it in a pot with cold water and cook until tender (for about 1 - 1,5 hour). 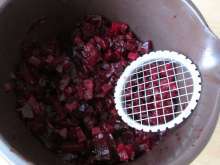 Then pour the water out and let the beetroot cool. ... and press it through French fry potato cutter. 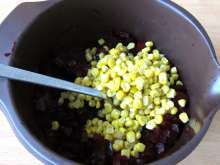 Add drained sweet corn and juice from one lemon. 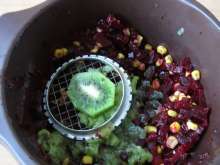 Peel kiwi, cut it into slices and press through French fry potato cutter into the beetroot. 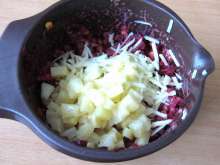 ... pineapple without juice and peeled and coarsely grated apple. Stir in salt to your taste. 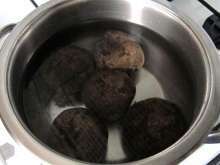 Let the salad rest in the cold place at least one hour before serving time.